The new CCM Ultra Tacks is the lightest, best balanced, and most durable stick we have ever created. The Ultra AttackFrame blade is incredibly light without sacrificing torsional or bending stiffness; this is a lightweight stick with amazing precision and accuracy. The innovative Bumper Technology reinforces the corners of the shaft for added durability and consistency. 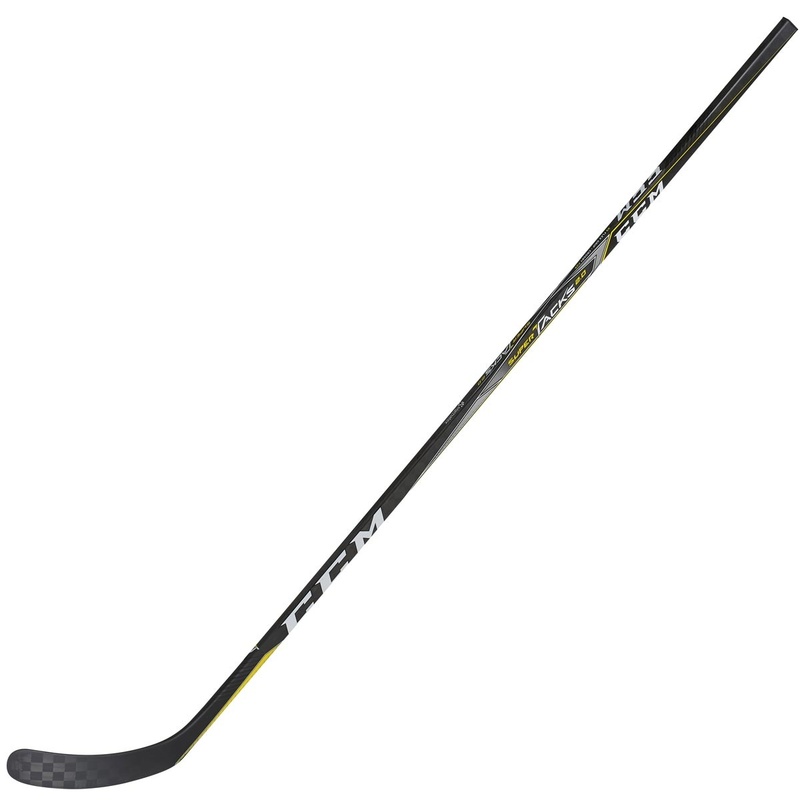 The CCM Ultra AttackFrame is a blade construction with no trade-offs. Lighter than its predecessor, it maintains very high levels of torsional and bending stiffness for added accuracy, precision and consistency. The stiffness of the blade plays an important role; the more square the blade stays to the target, the more precision a player will have on every shot and pass. When a stick breaks it’s most often a cause of repeated impacts weakening the materials at the corners of the shaft. To help prevent such breaks, the CCM Bumper Technology strengthens these vulnerable areas by adding compressed reinforcements molded into the material, making it more durable and more consistent. No matter the amount of ice sessions, you get the same performance out of your Ultra Tacks stick. The Ultra Tacks mid kick point provides full control and great pop; a stiff spot lower down and a more flexible spot halfway up. Players who aggressively load their sticks will benefit from the stiffness found lower down to release a slapshots with confidence and the more flexible sweet spot to shoot wristers with power. BLADE The Ultra AttackFrame is a super lightweight blade with high torsional and bending stiffness for a more accurate shot. SHAFT Bumper technology adds reinforcement on the corners of the shaft for remarkable durability and consistency. GRIP Full grip with strategically place texture helps to improve control and feel.